Seen on the S39 not far from Timbavati picnic spot. 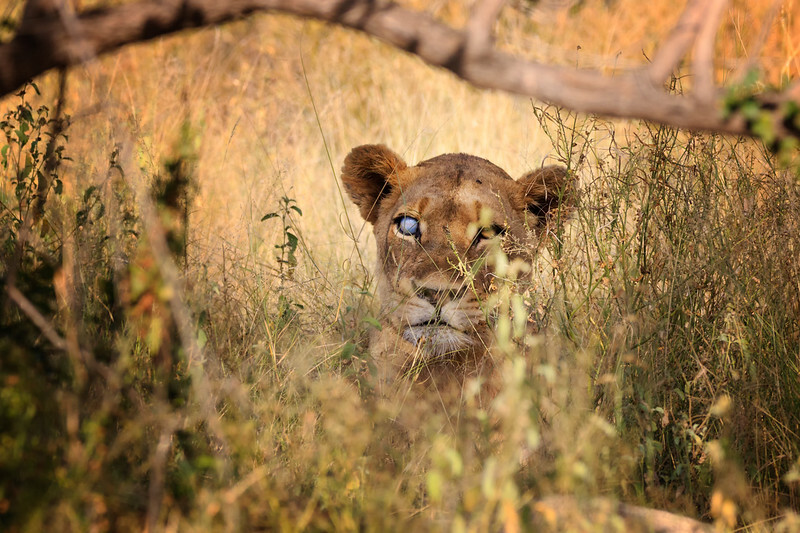 We had stopped for breakfast and our guide heard some lions and said 'Shall we go and look for them?'. Found a pair mating just by the side of the road occasionally breaking away from each other and hiding in the grass. That bad eye didn't seem to have made her less attractive.